This post was begun December 5, 2018, before the shutdown, right after watching President Bush’s funeral. Most of the posts from that time until now were already written to make time for some non-writing activities, so I watched the Federal shut-down from the sidelines. I will summarize my take in one sentence. Another damn-fool stunt by the Damn-Fool-in-Chief. Now back to December fifth. As I watched President Bush’s funeral this morning, I was once again struck by an understanding of how Trump became president. I am not going to offer similarities between the two men; I would be hard pressed to find any. 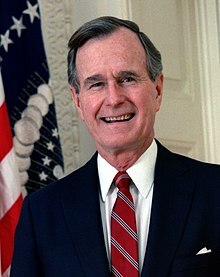 I will suggest instead that the nation’s response to Bush One’s death tells us uncomfortable things about hero worship, individual liberty and responsibility, and America’s closet love affair with The Great Man. America threw off a king in 1776, and has been in the habit of electing would-be kings to the presidency ever since. They even asked George Washington to become king. He refused. If there has been a president since who didn’t want the powers of a king, I apologize for lumping him in with the rest. I don’t think I will have to apologize to many. Maybe none. I get that. I also get that without a combination of arrogance and obstinance, and a massive need for power, no candidate would ever get through a campaign. Obama strikes me as a nice guy, someone I would like to know personally, but he had the need. Bush II was touted as the candidate you would most like to have a beer with — and I would, even though I never considered him competent. Vote for Bush II, hell no; share a laugh with him, of course. Bush II had the need. Bush I had the need. They all had the need for power. You can be pretty sure that any humility shown by any president is feigned. Was Lincoln humble? He appeared humble, but I seriously doubt that he was. Overwhelmed and saddened by what fate had saddled him with, certainly, but a truly humble man would have withdrawn in favor of someone more qualified. But Presidents don’t believe anyone else could be more qualified; if they did, they would never make it to the White House. I understand the motivation of Great (?) Men; I don’t really understand why Americans, who otherwise cling to their liberties, continue electing them. Perhaps they are convinced that the alternative to the Great (?) Man is the wimp. Or maybe it’s just the John Wayne syndrome gone wrong. Here’s what happens. There is trouble in the town. Every man knows what needs to be done. But only one man has the fastest gun and the toughest fists. So (the Lone Ranger) (John Wayne) (Chuck Norris) (millennials, fill in your own selection, I’m out of touch with current heroes) takes care of business because he is The Great Man. That’s adequate for TV, but not for governing America. Presidential power has been growing at Congressional expense for several decades. Why? Maybe at the core it is because the President is one man and Congress is many. Is it just part of the American myth that the individual stands up to the mob? I get it — but I don’t buy it. This entry was posted in A Writing Life and tagged americana, Donald Trump, history, politics, writing on February 6, 2019 by sydlogsdon. ” Is it just part of the American myth” — I think that describes most aspects of American life. We are stuck in our own mythology, not realizing it’s all just a story. We can all take a little myth debunking here, but in my previous life, things were different. For many teachers, depending on their subject and their skill set, teaching is storytelling. That was certainly my style. The balancing act is between keeping the mythic feeling necessary to build citizens who are proud of America’s positive qualities, and telling the truth about her failures. That must be incredibly hard for a history teacher. I mostly taught physical science, but I taught it from a historical perspective, spending some weeks on the space race. It was a matter of explaining how the process worked, capturing the glory and excitement of the task, and never losing sight of the sheer fear of the Russians that lay behind it all. Now, I’m at it again with posts tied to a bunch of different Apollo anniversaries. I never retired from being a writer. I guess I never retired from being a teacher either.